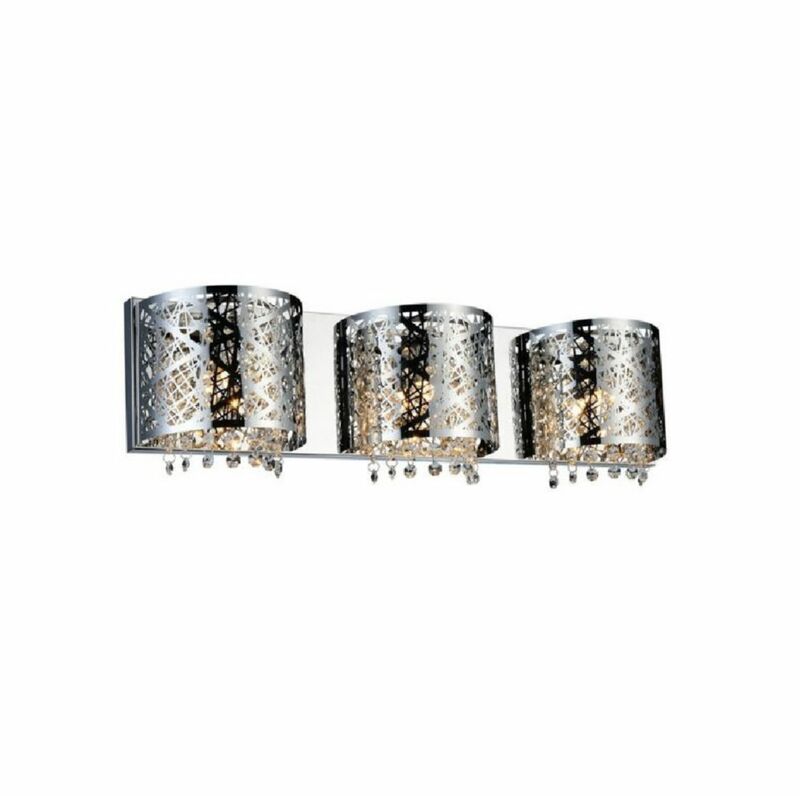 This breathtaking 3 Light Wall Sconce with Chrome Finish is a beautiful piece from our Eternity Collection. With its sophisticated beauty and stunning details, it is sure to add the perfect touch to your dicor. Impeccable elements of design with a sleek touch. The Nozza wall sconce features a frosted LED tube encased inside a clear cylinder. The perfect add-on for your contemporary washroom. Introducing the Providence Collection. Entirely handmade blown glass, richly polished crystals, silk fabric cord cover and hand plated framework. This wall sconce will be a great addition to any room in the home or office. Eternity 4 inch 3 Light Wall Sconce with Chrome Finish This breathtaking 3 Light Wall Sconce with Chrome Finish is a beautiful piece from our Eternity Collection. With its sophisticated beauty and stunning details, it is sure to add the perfect touch to your dicor.